Few things are as important to a car's long-term durability and safety than regularly scheduled maintenance. Whether you drive a new Nissan or a pre-owned one your vehicle will have factory-recommended service intervals to take care of certain tasks. The service center at Lithia Nissan of Ames is staffed technicians specifically trained in the details of Nissan routine maintenance. With daily experience and background knowledge on their side, our technicians can provide a range of maintenance services quickly and efficiently. 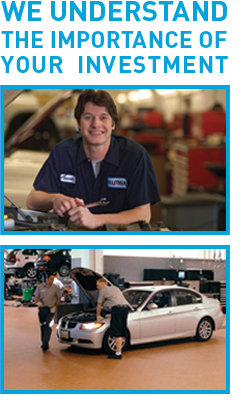 Tire rotations, brake service, oil changes, and more are all part of the daily routine. Many of our Iowa customers prefer to take the DIY route to car care. They enjoy the satisfaction of getting under the hood and improving their vehicles with their own hands. If that vehicle is a Nissan, our parts center can make sure you get the appropriate components to complete the task correctly the first time. Our access to OEM Nissan parts allows local enthusiasts and tinkerers to repair, maintain, or upgrade their Nissan models effectively -- and at a fair price, too. We can fit you into a convenient appointment slot, as well. Fill out the form on our website with your vehicle information, requested service, availability, and contact information. We'll reach out to confirm a time and date that works for you. You can also call or visit our location near Des Moines, Ankeny, Marshalltown, and Boone to set up an appointment and see what our facility has to offer. We only use genuine parts and accessories in our services, so you can be confident checking in from Ames, Des Moines, Ankeny, Marshalltown or Boone, IA. And with our popular New Tire Program and Lifetime Oil Change Plans, this is one tip that will save you some serious time and money! Ready to see what we can do for you? Contact us either online or by phone today to set up an appointment at our service center. Our team will happily confirm the details of your appointment and answer any questions that you may have about servicing your vehicle with us. From there, simply sit back, relax and rest easy knowing that your Nissan is getting the care that it deserves. We hope to see you in the near future and wish you many worry-free miles for years to come! Most people wouldn't go to just any doctor. They want someone they can trust for auto service and repair near Des Moines, Ankeny, Marshalltown and Boone IA. Why would you treat your new Nissan or used car any differently? That's why so many drivers take their car to the Lithia Nissan of Ames Nissan Service Center. Here - at 2901 South Duff Ave Ames, Iowa - they get the care they need to keep their car's body healthy and its performance strong. When we repair your car or truck, we guarantee the work for 3 years or 50,000 miles including parts and labor.